The Revs Digital Library is a large, publicly-accessible digital library of automative history developed at Stanford University Libraries. 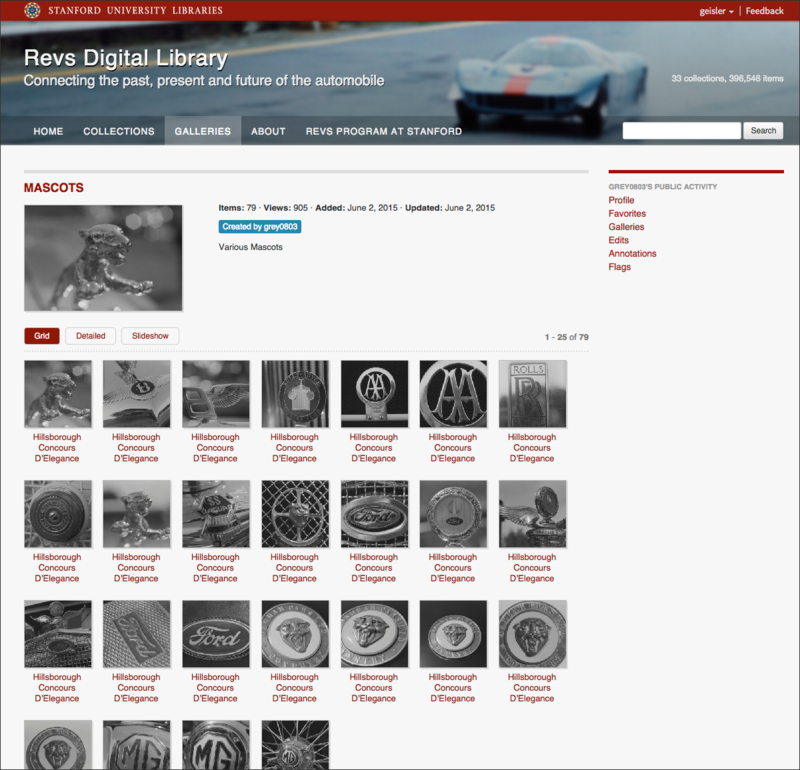 The primary goal of this project is to ensure access and preservation of materials from the Revs Institute, an independent educational organization that advances the scholarly study of automotive history. 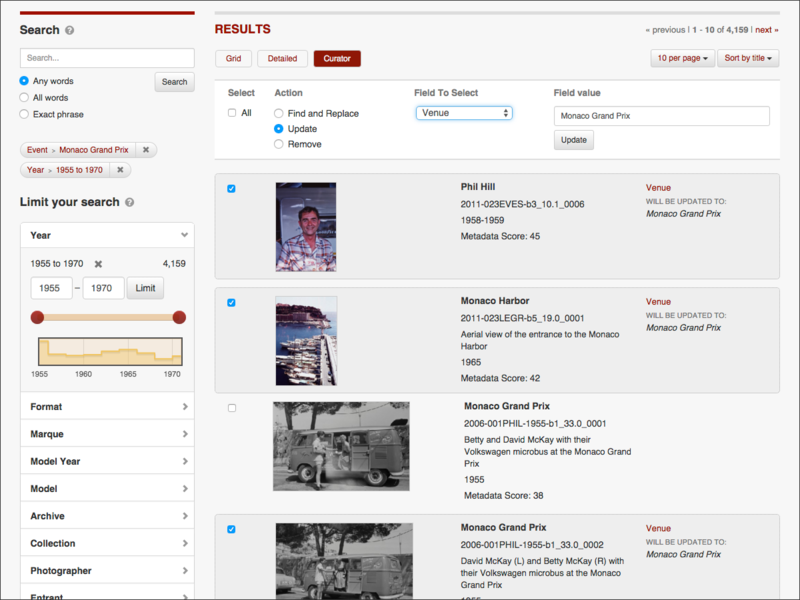 As the Revs Institute digitizes items from their collection of over 1 million images, research books, ephemera, and specialized documents, they are transferred to Stanford and accessioned into the Stanford Digital Repository using an automated pipeline. 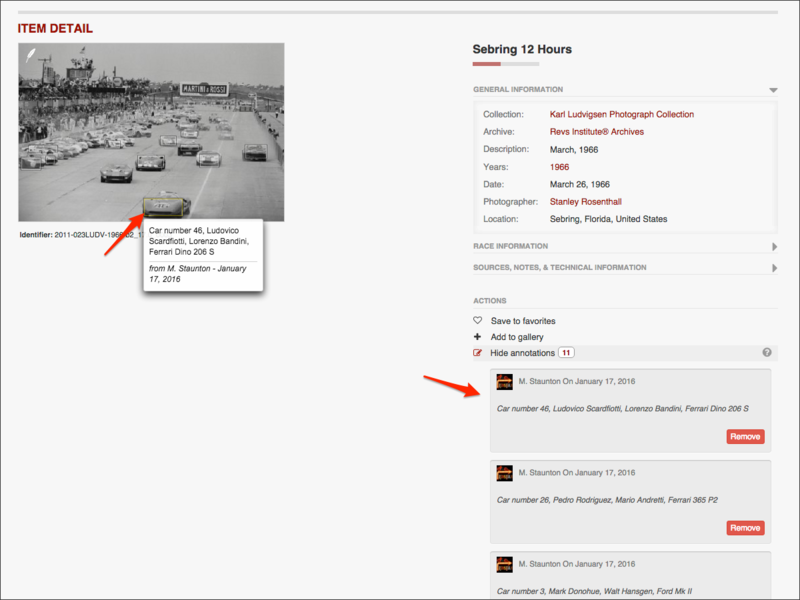 A set of curator pages, which enable approved curators to address corrections flagged by users, make metadata updates (include bulk updates), and monitor item edits, annotations, etc. 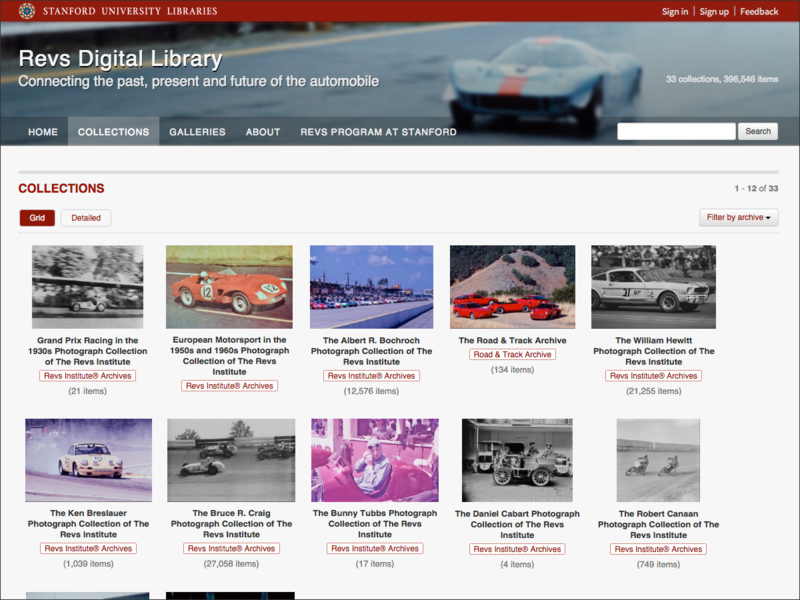 The digital library currently contains over 400,000 images and eventually will encompass many more images, research books, ephemera, and specialized documents, including research data and other materials produced by the Revs Program at Stanford. My Role: I did the user research, user experience design, much of the front-end development, and visual design. 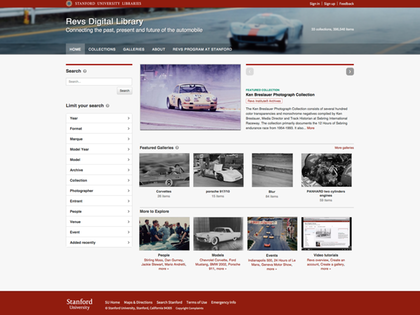 The public Revs Digital Library website. 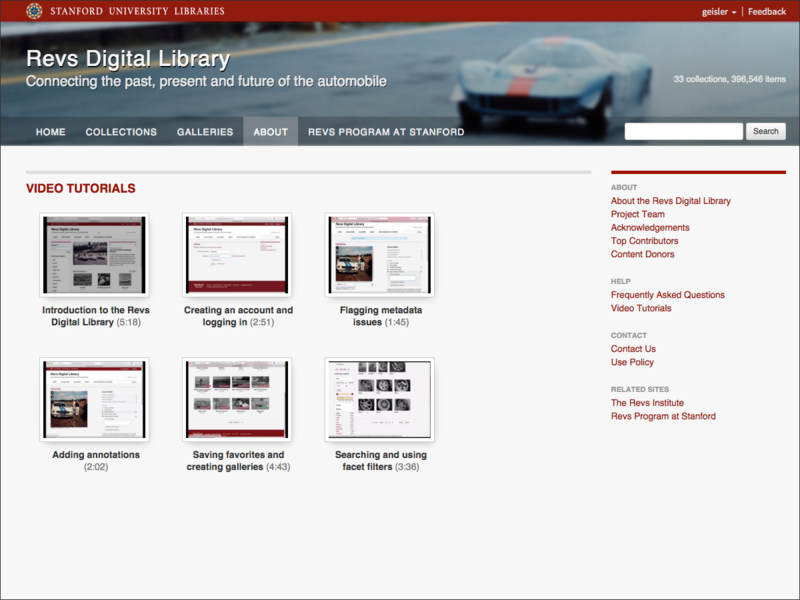 Public repository for the Revs Digital Library code (Blacklight-based Ruby on Rails project). An associated project that I also worked on. The website of the project funder and the provider of the digitized digital library content. Lavrinc, Damon. 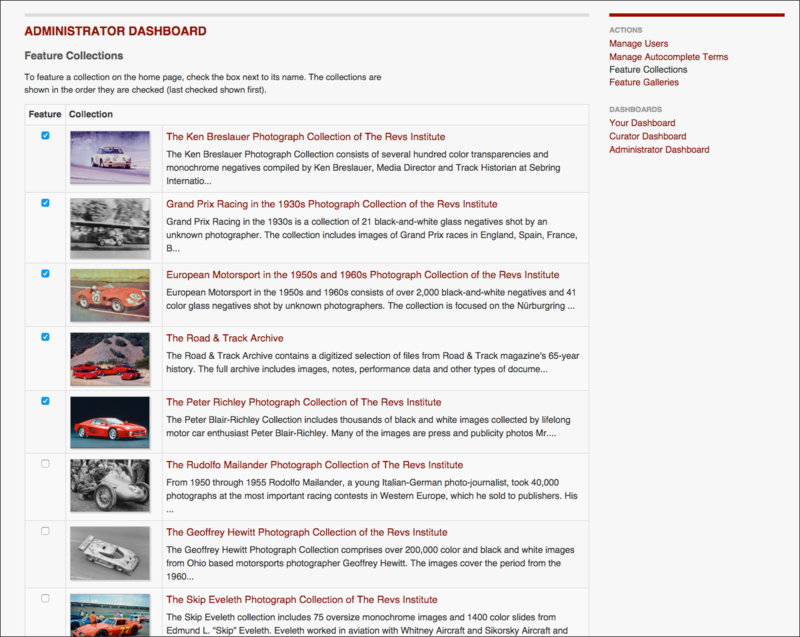 "This Amazing Vintage Car Photo Database Is Our Fappening." Jalopnik. Tuesday, September 9, 2014. 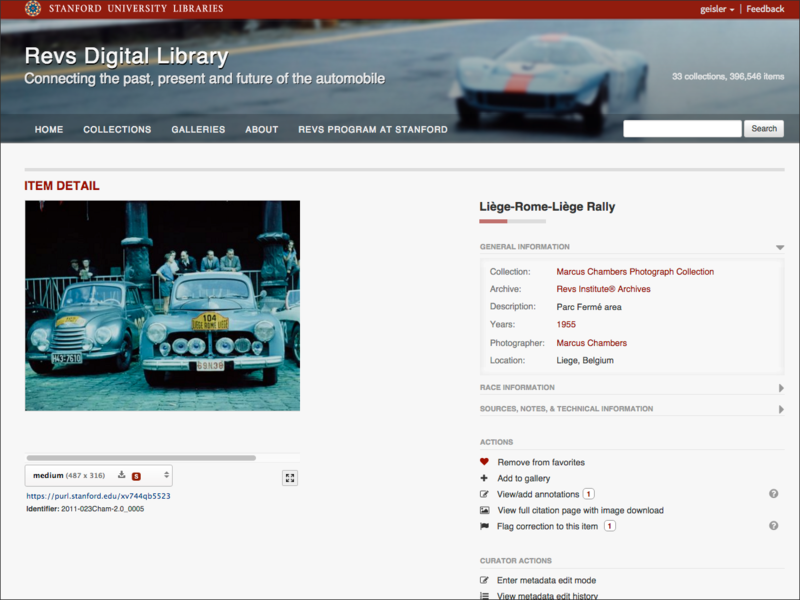 "178,000 Images Documenting the History of the Car Now Available on a New Stanford Web Site." Open Culture. Tuesday, September 9, 2014. Parker, Clifton B. 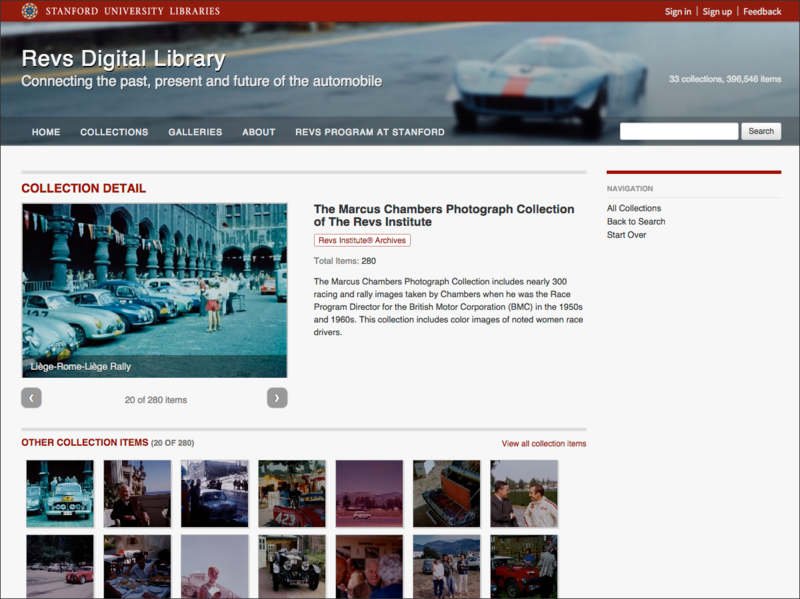 "Stanford's new Revs Digital Library spotlights the automobile as cultural icon." Stanford Report. Friday, September 5, 2014.